Matt is proud to be one of the producers of a new documentary short film from DNA Films® titled Maximum Achievement: The Brian Tracy Story, which is set to premiere February 22, 2017 in San Diego. Four-time Emmy Award winning director, producer and filmmaker Nick Nanton is completing work on this documentary about the extraordinary and transformative life and career of Brian Tracy, a world-renowned entrepreneur, professional speaker, best-selling author and success expert. As a producer, Matt was a part of a private dinner celebration to kick off principal photography with Brian Tracy at his San Diego home. 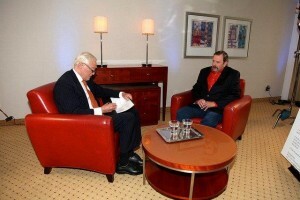 Matt took part in the filming of a live, intimate interview with Brian, where he reveals his secrets to success. Maximum Achievement began filming in August 2016. Maximum Achievement is about more than Brian’s life-story. The core of the short, ultimately, is to present Brian’s seven fundamental rules of success in a way that is instructive and ultimately shareable. In an interview setting between Brian Tracy, Nick Nanton, and attending producers, they discuss the most important ideas that have ever been discovered in human history regarding success, prosperity, affluence, and building relationships. Matt is President of Cravey Real Estate Services, Inc., one of the largest Commercial Real Estate Companies south of San Antonio, Matt holds two of the highest designations in the commercial real estate industry: Society of Industrial and Office Realtors (SIOR) and Certified Commercial Investment Member (CCIM). Matt and his firm have cultivated a reputation for reliability and prudence in providing clients with real estate leasing and sales, investment counseling, asset management and real estate marketing services. He has helped court trustees, creditors, and debtors negotiate and resolve problems involving properties in bankruptcy, and has testified as an expert witness in legal cases involving lenders vs. borrowers, offering his expertise on both sides of the equation. Raised in the Texas Hill Country, Matt began his career in the real estate industry in 1974, selling ranch land and large commercial tracts in the Kerrville-San Antonio region. He continued selling ranch property when he moved to Corpus Christi in 1975, but the scope of his professional involvement quickly expanded to include marketing commercial buildings, retail centers, apartment complexes and developer tracts, as well as income property and asset management. Although working primarily in Texas, Matt’s real estate expertise extends to out- of-state clients in markets including New York, Atlanta, Memphis, Santa Fe, Oklahoma City, Tampa and Jacksonville, Florida. His experience with large, complex properties has allowed him to build a network of investors, owners and brokers in Mexico, Germany, Japan, Korea, Canada, the U.K., Netherlands, Belgium and Switzerland. Matt has been recognized for his expertise in real estate and has earned the prestigious NAI Global Elite award several times and is a contributor to national trade journals across the country. Matt is a Best-Selling Author, for his co-authorship in the book Get in the Game and he had the opportunity to sit down with Brian Tracy in a face-to-face interview, which ran on affiliates networks including ABC, NBC, CBS, and FOX. He is also the recipient of The Expy award for his recent appearance in USA Today. Click here to get in touch with Matt. DNA Films® is led by four-time Emmy® Award Winning Director and Producer, Nick Nanton and Emmy® Award Winning Producer, JW Dicks. Dicks and Nanton have produced multiple award-winning films including Visioneer: The Peter Diamandis Story, Esperanza, Mi Casa Hogar and Jacob’s Turn. Their productions have won several Emmys and together they have been awarded more than a dozen Telly Awards for excellence in television and film production. Combined, they have produced and directed more than 500 television episodes and dozens of films. Dicks and Nanton’s goal is to bring the uniqueness of entrepreneurs and their stories to the big screen as a means of encouraging a new generation of entrepreneurs and strengthening the economy. Learn more at www.CelebrityFilms.com. At the 2015 Expy Awards in Hollywood, Matt received an award for his work on the book Get In the Game. The awards were presented by award-winning author Brian Tracy. Looking back over his extraordinary nearly four decade career as a maverick force in various aspects of real estate in the region of South Texas, Matthew Cravey – Owner and President of Corpus Christi based Cravey Real Estate Services, the largest commercial and industrial based real estate firm south of San Antonio – cites three key moments that have helped define his path as a survivor and innovator, driven to succeed no matter the odds in his chosen industry. Raised in a small town in the hill country, north of San Antonio, he was exposed to two different types of folks because of his parents’ diverse backgrounds. Via his father’s farm and ranching family, he knew hardworking people who made their living with their hands, and via his mother, whose father was a petroleum engineer and colonel in the army, he knew others who had the “nicer things in life.” It seemed that the father of every girl he dated was a very successful real estate Broker, and for a teenager who was mostly bored in school, this seemed like a powerful path to take. That simple statement of his friend’s mother proved prophetic. Cravey’s innate sales skills, charisma and powerful yet humble personality, and dogged determination made him not only “great in sales,” but a true entrepreneurial visionary whose personal success making millions from selling and investing and running his firm has benefited thousands of clients throughout the region for years. 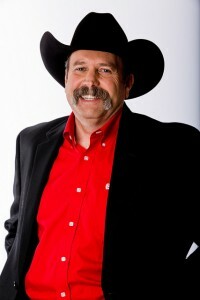 Shortly thereafter, Cravey enrolled in real estate courses in San Antonio and launched an incredible, though at times wildly challenging career – first selling ranch land and large commercial tracts in the Kerrville – San Antonio region, then later expanding to include marketing commercial buildings, retail centers, apartment complexes and developer tracts, as well as income and asset management. A natural evolution of Cravey Realty, which he formed in 1975 with a partner from the oil business, Cravey Real Estate Services has, over the past 39 years, specialized in commercial, industrial, warehouse, office, retail, shopping centers, land and investment properties in Texas. In an area where manufacturing and petroleum services are on the rise and exciting real estate opportunities abound, he and his dedicated team are experts in providing innovative and cost effective real estate solutions for clients on local, regional, national and international assignments. As they put it, “without knowing the players, it’s easy to miss an opportunity,” so working with trustworthy people on the inside is the key to doing things right. Cravey’s brokers have a reputation for reliability and prudence, providing clients with real estate leasing and sales, investment counseling and property management and real estate marketing services. Basing his claim on thousands of successful transactions and satisfied clients, Cravey has long believed that a single relationship with Cravey Real Estate Services can provide each new client a world of commercial real estate resources in Corpus Christi and South Texas. He holds two of the highest designations in the commercial real estate industry: Society of Industrial Office Realtors (SIOR) and Certified Commercial Investment Member (CCIM). He has been featured on local TV and radio shows, and quoted for over 25 years in the Corpus Christi Caller Times in reference to many diverse issues. Though in recent years Cravey has focused his business in his home region, his expertise has at times extended to out of state clients to markets everywhere from New York, Atlanta, Memphis, Santa Fe, Oklahoma City, Tampa, Jacksonville and cities in Oregon. Internationally, his experience with large complex properties has allowed him to build a network of investors, owners and brokers in Mexico, Germany, Japan, Korea, Canada, the UK, Netherlands, Belgium and Switzerland. Cravey has also served as a regular panelist of the Corpus Christi Chapter of the Rotary Club, contributing his insights into the state of the economy as it pertains to Commercial and Industrial real estate. His ability to weather challenging economic times and find ways to rebound is nothing short of remarkable – and inspiring to clients who know that they’re dealing not only with someone who is extremely knowledgeable but is there helping them because, by the sheer force of his personality and determination, forged ahead when things looked their bleakest. Which brings us to the second key defining moment in Cravey’s life and career. His original firm Cravey Realty was in full swing, and he had also found success in a corollary business, Cravey Securities, which he set up to look for investment partners to invest in properties they syndicated. Then, under the weight of the savings and loan crisis (S&L crisis) of the 1980s and 1990s, in which almost a third of the savings and loan associations failed, the economy in Texas and the U.S. was left in dire straits. Cravey began his comeback working with the Resolution Trust Corporation (RTC), a U.S. government owned asset management company run by Lewis William Seidman and charged with liquidating assets, primarily real estate related assets like mortgage loans, that had been assets of the S&Ls and declared insolvent by the crisis. At first, one of the agents at the Savannah, GA office of the RTC turned Cravey down, telling him they had already chosen a company to help them list and sell apartment complexes in Corpus Christi, Tx..
I’m here today with Matthew Cravey, one of the top real estate developers and real estate professionals in Texas, outside of San Antonio and Corpus Christi. He is going to share with us some of the things he is doing and some of the great ideas he has for the future. 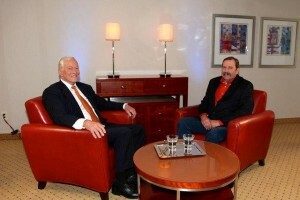 Brian Tracy: Matthew, thank you very much for being here, it is a pleasure to see you. Matthew Cravey: Thank you very much. Brian Tracy: We were talking a little bit before. Tell us a little about what you do and how you do it. Matthew Cravey: I’m in commercial and industrial real estate. I have a real estate company, based out of Corpus Christi. We work through most of the state. We sell, lease and manage commercial industrial real estate. Brian Tracy: Office buildings, industrial buildings and things like that? Matthew Cravey: Right. Warehouses and everything from restaurant locations for some of these free standing restaurants to banks to schools. 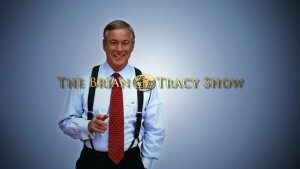 Brian Tracy: I told you I used to be in this industry. It is one of the most important industries in the entire country. The country would actually grind to a halt without commercial real estate available to businesses and entrepreneurs. Matthew Cravey: I don’t think people realize. They go to the mall and shop; they don’t realize that somebody had to put all of those tenants together, design the mall. They have to run it and take care of it. I don’t think they realize it. Or, they go to their office and work every day and aren’t thinking about how somebody had to risk their capital and build this office building and then run it every day, and make it run smooth so you can go home and have sort of an uneventful day. Brian Tracy: Yes, it’s enormously complex, isn’t it? You can either build a commercial development or you can do brain surgery, and probably brain surgery is easier. Matthew Cravey: Well, and one thing I’ve learned, I’ve been doing this for over 40 years, and the one thing I’ve learned is that you really need to specialize. I’ve done a little bit of everything over the years, I’ve got a good understanding, but slow but surely I realized that I needed to specialize. You just can’t be a jack of all trades. Brian Tracy: Absolutely right. First rule of marketing or business success is to specialize. Be very, very good in one area. Brian Tracy: What is your vision for the future? Why have you chosen this industry when you could have probably done lots of other things? Matthew Cravey: You know, in the beginning, I did it because I was told I had the gift of gab. Somebody said with that line of bull you ought to be in sales. Then I was dating these young ladies when I was young and all their dads were in real estate. I thought well this is great, I don’t even have to go to college. I’ll just go into real estate and make all this money. That showed how naive I was. On top of it, once I got licensed, my broker asked why I got into real estate. I told him I’ve got this gift of gab. “Interesting,” he said. “But, do you want to know the secret to this business? Shut up. Be quiet and listen.” That just blew up my whole plan, to talk my way through this and make millions of dollars. Then, as time went on, I learned that I didn’t know anything about it. Somebody else said I wasn’t really a real estate agent, I was just a glorified tour guide. All I was doing was taking people around. Of course, I started when I was 19. So, I also didn’t realize that nobody took me seriously because I was 19 and didn’t I know anything. So, I really realized from that point of working that I needed to learn the business. The reason I stayed in the business is because I like people and I like solving problems. Those two together, you are always meeting interesting people and they all have a problem. I’m not really selling real estate, and that’s what I tell my agents. We’re not selling, we’re helping people. They all come to us with a problem and all we have to do is solve it. Brian Tracy: You guys are doing some unique and different things from your competitors in order to survive and thrive in your marketplace. What are they? Matthew Cravey: One of the things, early on, even though we are in a smaller community we started specializing. I love to watch people grow and so I bring in a new agent and get them groomed to take over a position. I lucked out, the first person was really good in retail, I didn’t have to show her too much. But, as time goes on we’ve added each person to a different part of the business and then we make sure they really know the business. They need to know the real estate business but they really need to know their field. It is so different than what our competitors were doing that it has really helped a lot. The other thing is that we’re really big on education. I have a CCIM and a SIOR designation, which are two of the highest in the industry. What a lot of people don’t realize is that the CCIM classes I took are the same as anybody in New York, San Francisco, Chicago. So, just because we are in a smaller community, we have the same designations as anybody in a larger city. Matthew Cravey: Yes sir, but what makes it nice is we just choose to live in a smaller community we only have about a half million people immediately in our area. Taking all of that and then taking 40 years of experience plus all of the experience of my other agents, we are able to do some really great things in our area, I think. Brian Tracy: In almost every specialized field today, the key to differentiating yourself is to be more knowledgeable than your competitors. More knowledgeable in such a way that you can help your clients to make better decisions to get better results from their choices of space whether it is selling or leasing or expanding. Matthew Cravey: Right, and you know so many people in our field will grow weary of it, so they get off into some other things. But what I find, is by taking on another project, by maybe getting another customer, another challenge, it just keeps you fresh. I agree totally with you, you just have to keep educating yourself and keep working on yourself, and then you’ll be a benefit to your customer and a benefit to yourself and your family. Brian Tracy: Studies show, the people who own the future are the people who are continually learning, continually upgrading their skills, continuing to take in new knowledge. Because the rule is, if you are not getting better you are getting worse. If you are not moving ahead then you are falling back. Nobody stays even, not in today’s world. Matthew Cravey: You know, what was it Ray Crockland McDonald said, if you green you are growing, if you are rotten, you’re rotten. Something to that effect but I just remembered that but I believe too that you do need a lot of knowledge in my business but I think you need a lot of knowledge in a lot of things. So, I try to learn about different fields, different things. Maybe I met somebody who was really interesting, and I wanted to know more about what they are doing, maybe have a better understanding of what they are doing. I think that helps me stay fresh as well. Brian Tracy: Yes, and later on you meet somebody else and you have this information and this information is helpful to this other person. Now, give us one success story based on your area of specialization, expertise and your knowledge, where you had a client, customer, or tenant where you were able to help. Matthew Cravey: The most unique property I had is this older attorney owned a property that was a landfill. They had dug the soil out, in strips, and filled it back in with trash. They built a highway right in front of the property but it was stripped, thank goodness, and it was only about 12 feet deep. So, the property was still usable and with the naked eye you couldn’t tell it was a landfill. But, because of the new laws, it had to be registered as a landfill and you need to tell the public that is what it was. Well, we started off with the first tenant to go in there was Outback. We realized what we were doing. It was Outback, Carrabba’s and Cracker Barrel. We built a road right up the middle and, of course, the hotels went up along with restaurants. We took this development all the way through and it got a little confusing to some people. Some of our foreign owners of hotels, we told them you have to put piers down, they said, “No, we don’t want to go up in the air and have the building sitting like you see on the coast, on a pier.” I said we’re not communicating; you need to go down in the ground about 25 feet to support the building. The whole development is almost sold out, it is really popular for hotels. The public has no idea they are sitting on a landfill when they are going out to eat, but is not dangerous. It’s fine. Brian Tracy: So, if people wanted to get in touch with you, how would they learn more about you and your business? Matthew Cravey: They need to go to our website, it is one of the best places to go. It has all our information, and it is probably the best way. Brian Tracy: And, it is? Brian Tracy: Wonderful. Thank you very much. Matthew Cravey: Yes, sir. Thank you very much. Get a sample chapter of Get In The Game by joining Matt's list.